Tunisia – the market today. After years of stable growth followed by a recession in the year of the revolution, Tunisia’s economy is back on a course of growth this year, with estimated eco­­nomic growth of 2.9 per cent (according to Economist Intelligence Unit). Ger­­many is the country’s third largest trade partner, after France and Italy. The economic advantages of Tunisia are its high level of industrialisation, high value creation per capita in the manufacturing industry and its geographical proximity to Europe. The country also has well-qualified university graduates whose talents and abilities need to be put to the best use. German companies are especially appreciated as fair business partners who are looking to achieve big things in the long term. The German-Tunisian Cham­­­­ber of Industry and Com­­­­­­merce has been established for more than 34 years and, with its bilateral approach and lo­­­cal pre­­­s­ence, has developed an ex­­­cellent, close-­knit network of va­­­rious partners in both Germany and Tuni­­sia. This clearly distinguishes it in many ways from other, non-local in­­­stitutions. The DEinternational brand, which is used by AHKs all over the world to offer an important part of their services to small and medium-sized companies in their international business, also ser­­ves as an essential and successfully operational part of the service portfolio of the AHK Tunisia. Consolidated performance quality: the four areas of expertise of DEinter­na­tio­nal. Energy & environment. 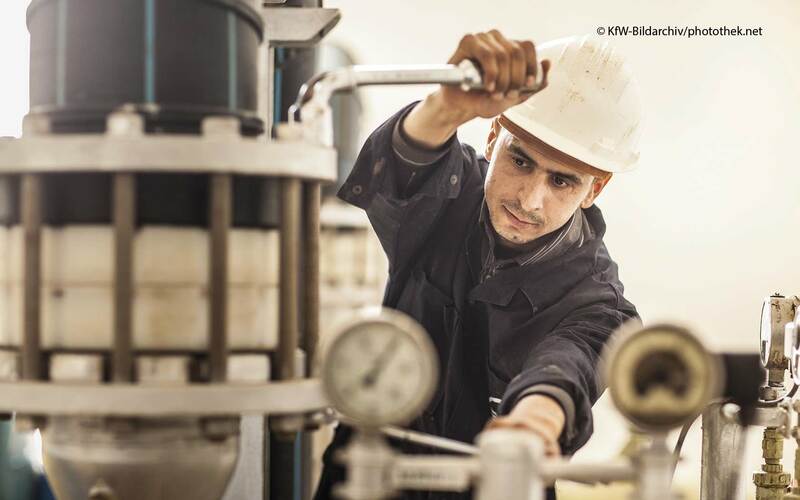 Awareness of energy-efficient and environmentally frien­dly ways of living, working and manu­­facturing is increasing significantly in Tunisia. Measures taken locally by both the public and private sectors have created a framework which allows excellent market potential for products and services from German suppliers. These include the Tunisian Solar Plan (PST) and the De­­sertec project, as well as multiple ener­­gy efficiency measures taken by large-scale companies. Furthermore, our en­­­vi­ron­­­ment field en­­­compasses all activities in the field of water and waste management. This offers a great number of in­­­teresting starting points for German pro­­viders, since these topics, along with renewable energy, are becoming in­­­crea­­­singly important in Tuni­­sia and acute de­­­mand for modern solutions is anticipated. Food industry. Tunisia’s food industry has increasingly evolved into a diversified and powerful economic sector in recent years, and now produces a great number of high-quality products with po­­tential for the European market. In order to be able to sell the products on the Euro­­pean market, strict requirements for mar­­ket entry issued by the EU have to be ful­­filled. Furthermore, German consumers in particular are demanding ever higher quality standards. 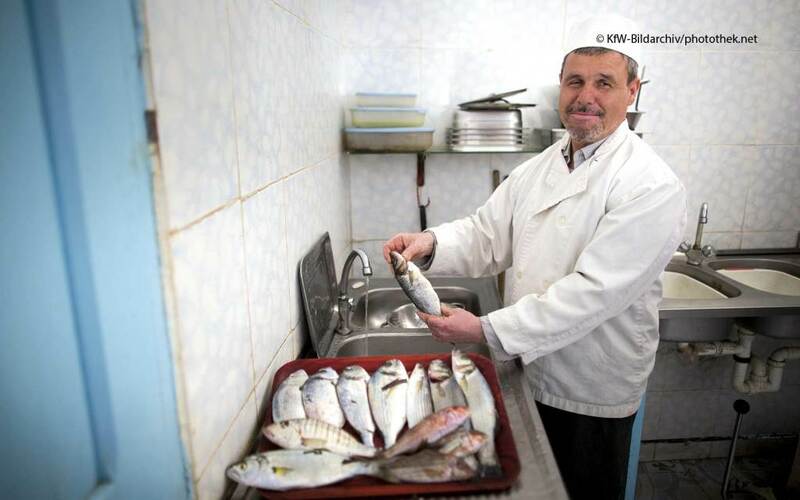 The result is that Tunisian businesspeople in the food sector are increasingly seeking informa­­tion from the Chamber of Foreign Trade Tunisia (AHK) about services in this field. For more information about the projects, see the article written by Souad Mami, head of the food field at the Chamber of Foreign Trade Tunisia (AHK), in which she reports on “Best Practice – Organic Farming Leads to Growth and Pros­­perity for Tunisian Producers”. Not only is Tunisia’s industrial sector enjoying stronger development all the time, but the country is also home to the region’s most developed market for medical tech­­nology and healthcare. Tunisia’s healthcare system is considered the most efficient in Africa, and is constantly evolving. In order to continue to improve this standard in the future, modern technologies and additional services are required, as well as basic medical supplies. 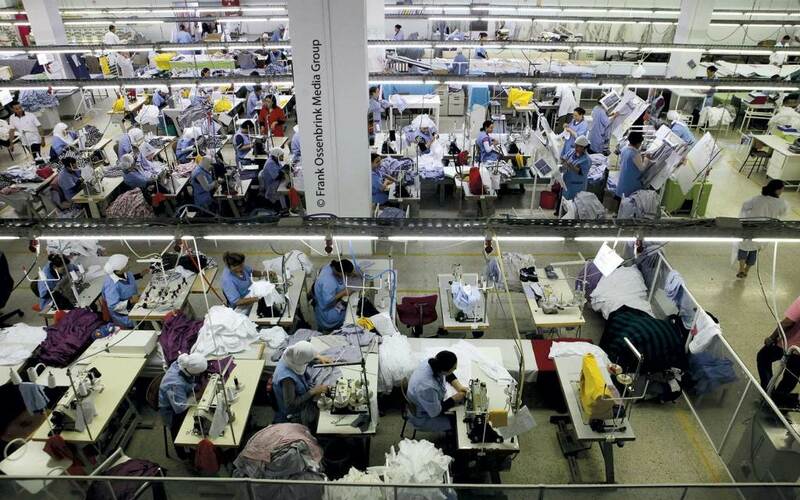 In the industrial sector, the textile and leather sector is still the most important, although the mechanical engineering and electronics sector has gained in importance in recent years. Bavarian trade mission “Medical Technology North Af­­rica” in Morocco and Tunisia in May 2013 with information about export po­­tential for the German Medical Technol­ogy Association and important local contact persons and potential business partners. This trip was organ­­ised as part of the export promotion programme “Bayern Fit for Partnership”, in cooperation with IHK Würzburg and the two Chambers of Foreign Trade. Support of the transformation partner­­ship in Tunisia: in a special form of co­­operation, the Federal Government sup­­ports the Republic of Tunisia by providing a bilateral transformation partnership which goes beyond the measures of de­­velopment cooperation. As part of the specific measure decided at federal level in 2012, “Delegation of Transformation Teams to North Africa and the Middle East”, the AHK Tunisia will be coordinating the use of German ex­­perts in Tunisia for the duration of the project – until the end of 2013. It is also responsible for preparation in terms of both content and organisation, as well as for deploying the transformation teams. In this context, the objective of the trans­­­formation teams is to support Tunisia in undertaking economic and social re­­­forms in order to move towards a social market economy. AHK assists in personnel recruitment. The right personnel in the right place at the right time – the essential recipe for suc­­cess in modern competition. The AHK Tunisia makes the selection process easier for its members and clients by applying its knowledge of the Tunisian labour and education market. The Chamber of Foreign Trade Tunisia (AHK), provides professional support to companies in order to tap into previously untapped potential and to in­­­crease the motivation of their em­­ploy­­ees. It organises specialised train­­­ing pro­­­grammes and workshops focusing on management and soft skills, and pro­­vides customised qualifications and per­­­sonalised training programmes as necessary. One of the reasons for the high level of youth unemployment comes down to the mediocre quality of vocational train­­­­ing in Tunisia, as well as the private sector’s lack of commitment in this area. Many projects from the transformation process are therefore targeting these aspects. The “Employment Pact Tunisia” pro­gramme is funded by the Federal Foreign Office and coordinated by sequa g­­­GmbH with sup­­port from the Chamber of Foreign Trade Tunisia (AHK), which ser­­ves as a local advisor. Its aim is to con­­tri­bute to the economic stabilisation and success­­ful democratisation of Tunisia by promo­­ting employment and improving the quality of vocational training. As part of the “From Advanced Training to the Workplace and to Modern Human Resources Development” project, which is managed by GIZ and executed by the AHK Tunisia, three different advanced training programmes for graduates of vocational institutes and universities are planned. The goal of these programmes is to supply companies with young people who meet their needs and are available at short notice, thus contributing to the company’s success. As a competent contact for establishing trade relations with Tunisia, the Cham­­ber of Foreign Trade Tunisia (AHK), sup­­ports German companies on the ground. Not only does it provide direct contacts to distributors, producers and sector as­­sociations, but also presents its assessment of the prevailing local economic situation and answers general ques­­tions about customs tariffs or market conditions. The author was born in 1965 and, after completing her degree in Jena, began work at Carl Zeiss Jena. Later, she worked for the Chambers of Foreign Trade (AHK) in Canada and Venezuela. Since 2002, she has been managing director of the AHK Tunisia.